Join us for our annual dinner as we honor three of our wonderful volunteers!! Click now to buy tickets today! 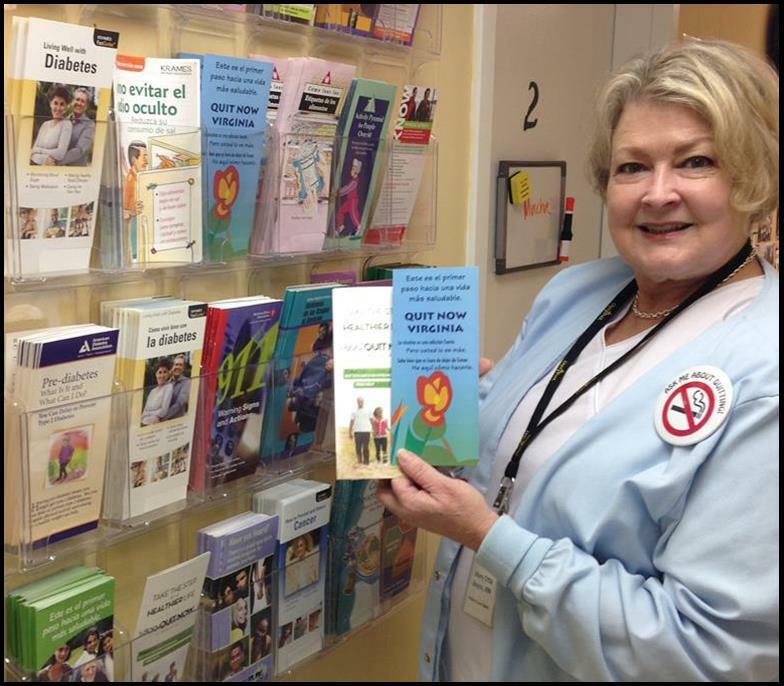 Mary Etta (picture during a smoking cessation campaign)has been involved with CrossOver for more than 10 years. She has been a constant weekly nursing volunteer at the Quioccasin Road clinic, accumulating more than 1,500 volunteer hours. Mary Etta is a leader among our nursing volunteers. She has taken an active role in working with patients that are trying to change behaviors, such as quitting smoking. Mary Etta and her husband attend Bon Air United Methodist Church. The value of services provided by Mary Etta is priceless to the staff and patients at the Western Henrico clinic. Myra Clements (pictured with Pharmacy Manager Rafy Luqa) has been one of CrossOver’s most faithful Pharmacists for more than 15 years. In fact, Myra helped train our Pharmacist in Charge (PIC) Leo Ross when he came to CrossOver. Myra is well known amongst the staff for her amazing banana bread that she faithfully bakes for everyone. 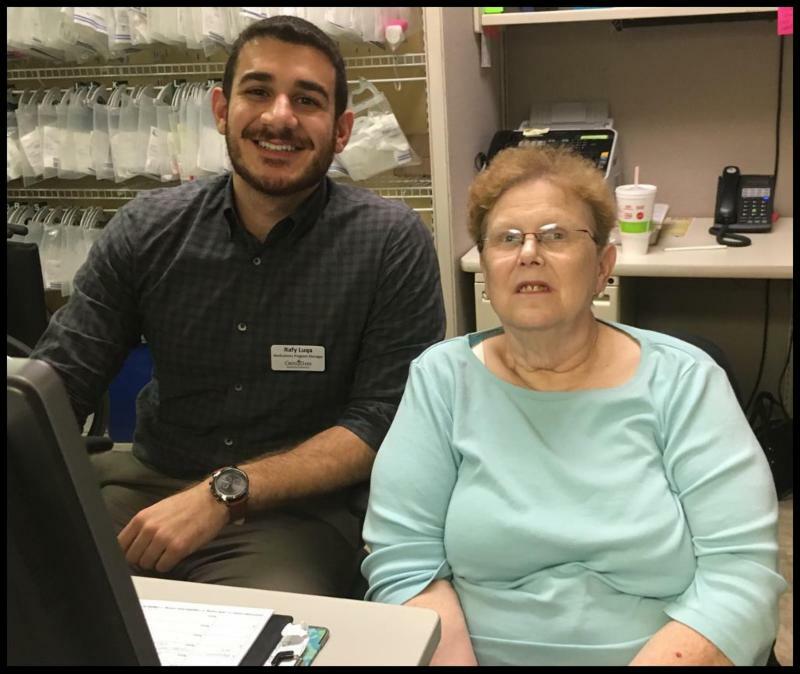 As a regular Wednesday volunteer, Myra enjoys her interactions with patients, especially counseling them on medications and side effects. Our patients greatly benefit from having Myra in the pharmacy. 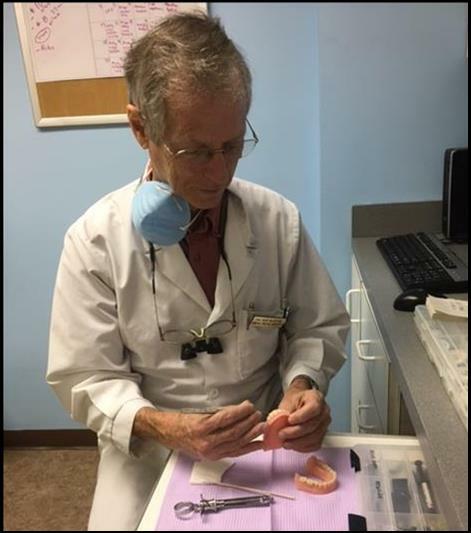 Dr. Rod Murchie (pictured making dentures)has been a volunteer dentist at CrossOver for more than 8 years. He volunteers every week and strives to treat as many patients as possible during a shift. He is enthusiastic with his patients while also bringing much needed compassion to the dental patients he sees. 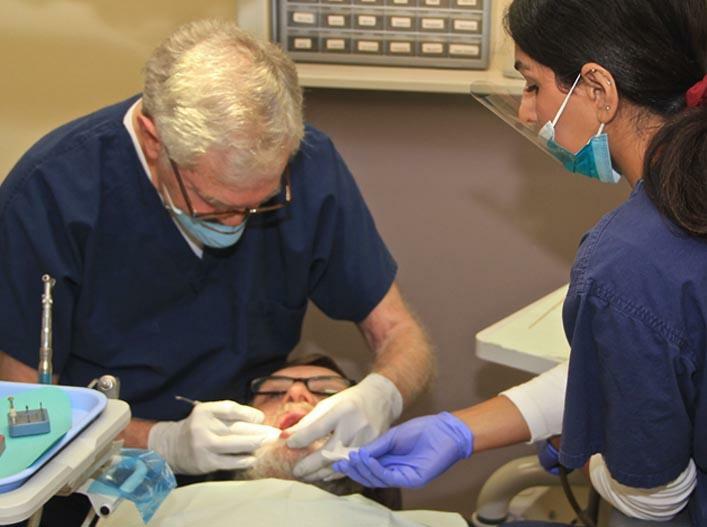 Dr. Murchie has helped start the CrossOver denture program and has mentored undergrad student volunteers who are interested in dental careers. Dr. Murchie and his wife Jann are very involved at Grove Avenue Baptist church. Our Patients, volunteers and staff greatly benefit from the expertise Dr. Murchie brings to CrossOver. For more information or sponsorship opportunities please contact Lynn Williams at 804-655-2794 ext. 102 or lwilliams@crossoverministry.org.